Let’s be honest: far to often corporate sponsorship is done completely wrong which results in a disappointing experience both for the organizer and the sponsor – and last but not least also for the attendees. We have left behind the times where it was sufficient to put a logo somewhere to catch the attention of the audience. In times of a complete sensory overload, our brain has learned to efficiently filter out things. The victims are unfortunately the old-fashioned ways of corporate sponsorship, something that worked perfectly well a decade ago. Now they simply don’t work anymore. Still many companies (and organizers) are stuck in the past and waste their time and money doing sponsorships in even counter intuitive ways. 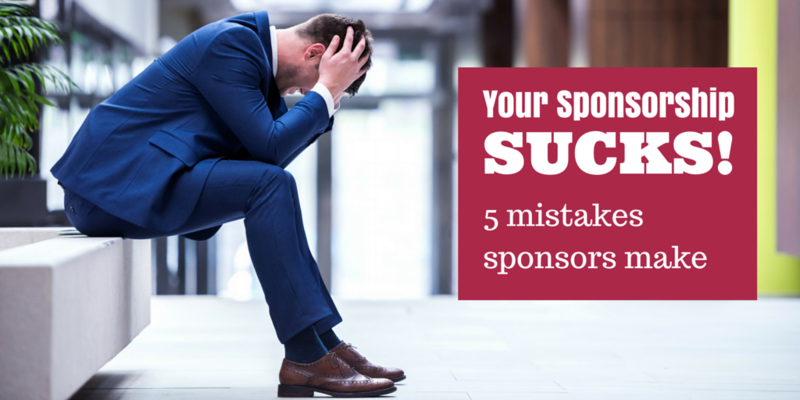 We have compiled at SponsorMyEvent the most common mistakes sponsors are making when it comes to sponsorships. 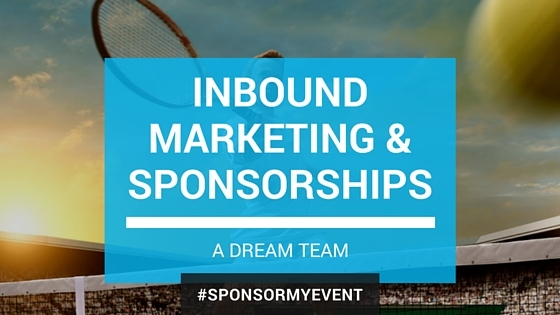 Is that all you might imagine when it comes to sponsoring an event? Sponsorships are tremendous opportunities to put your brand in front of an targeted audience that is poised to see your brand for a well defined time (and above). When have you been the last time at an event? Now tell me please who’s banners where standing there? No clue anymore? Congratulations! You’ve just given the reason why banner’s don’t work – or at least standalone they don’t work anymore. Attendees are seeking a positive experience with the sponsor. They want to be engaged into something new, something cool and thrilling. We are living in an interactive world, where everybody is used to zap around. No wonder how easily we are distracted today. And that’s where the real challenge for sponsors comes in: catching the attention of the audience. When I look around my desk, I see a photo from my CTO and myself that we took at a Photo-booth at TNW in Amsterdam. It might seem ridiculously simply, but it works. Who throws away a picture which is a nice souvenir? It’s a nice canvas for sponsor-logos. A friend of mine, Silvia Pellegrini from EventsUncovered made dozens of video interviews at IMEX in Frankfurt. Every one got as a thank-you a Polaroid snapshot with the URL on it. Nice idea and nice reminder to visit her site. 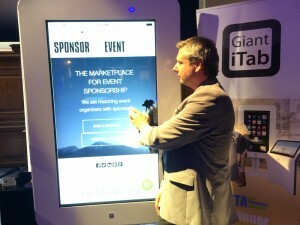 At MeetTheFuture in London, I’ve met Jacob Derbyshire from Giant iTab. 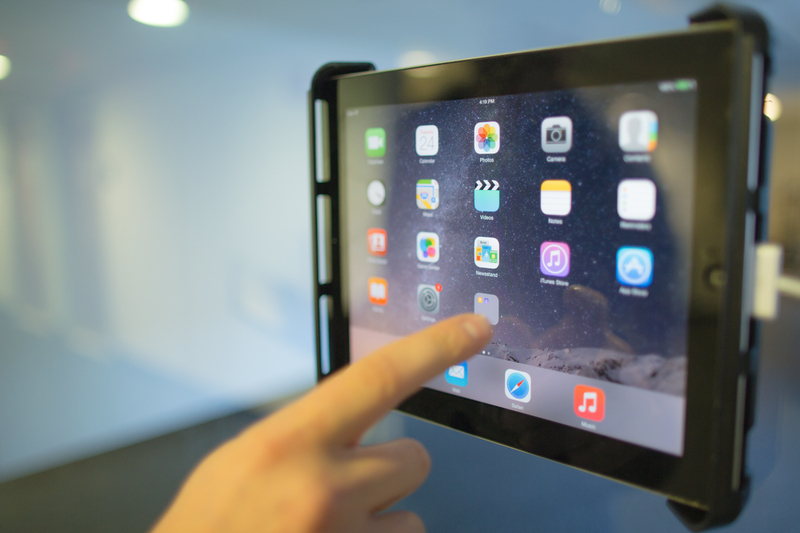 They are producing giant iPhone-compatible devices with the size of banners that are entirely interactive lead-generation-machines. Imagine the amount of engagement you can achieve with such a device if it’s wisely used. How often do we hear this as a reason why a company is sponsoring an event! I agree that there might be a certain “obligation” to sponsor a clients event, but can this be a reason not to maximize the ROI for this sponsorship? A brand should never see a sponsorship as an obligation but instead as an opportunity. Sponsoring the event of a client can open up tremendous possibilities to become deeply involved in the event and thus to create tight bonds the attendees. The more intense the contact between organizer and sponsor is, the better can be the outcome for the sponsorship. In this case the sponsor can work with the organizer in order to create an added value for the audience that will create a positive experience which will remind attendees in a much more efficient way of the sponsorship then otherwise. Why only “maybe”? Sponsorship is not gambling. Sponsorship is something that can and should be planned meticulously to make sure the outcome will be satisfying for all three involved parties (organizer, sponsor, audience). Of course it’s not easy to exactly predict, how many contacts will be made through the sponsorship, but simply letting it go is a big mistake. Sponsors can very well control what will happen during the sponsoring, especially when #1 and #2 are taken into consideration. In this case a clear strategy has been developed how to engage with potential customers in order to generate serious leads. 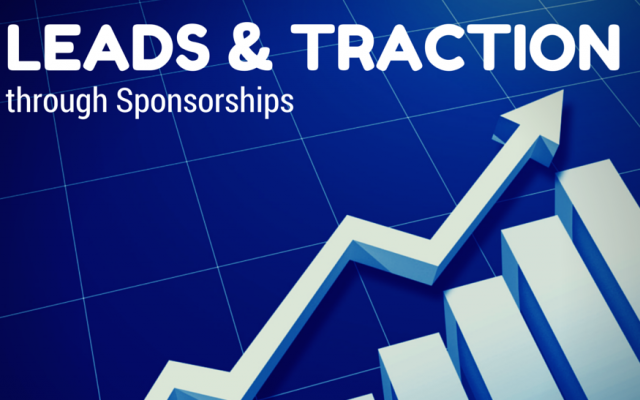 The sponsorship can be a very efficient pre-sales funnel. But this requires the involvement of the sponsor. Sponsorship lives from presence and interaction. That’s what sponsors should bear in mind when they engage for a sponsorship. 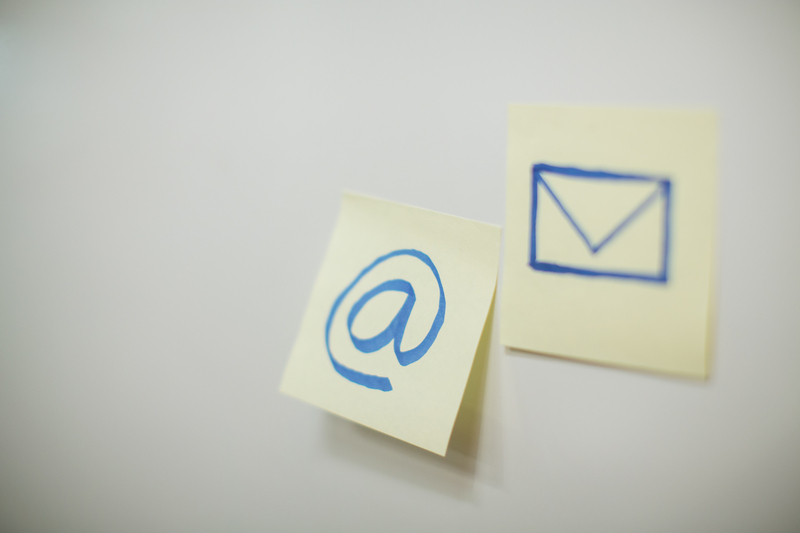 A call-to-action (CTA) is every element that incites a viewer, visitor or attendee to take an action. On a website, this could be button that is placed, labeled or designed in a way that visitors want to click it. In an event this could be a trigger that incites attendees to engage with the sponsor. Every sponsorship should contain one or more CTA’s. What the CTA is, depends totally on the kind of sponsorship. In our Photo-booth example from #1 the CTA is clearly to get in front of the camera and to take the photo. Recently I published a post about some event gadgets. One of the gadgets was a computer keyboard built out of beer cans. Attendees could type in their e-mail address using this keyboard to participate in a competition. The CTA in this case was the competition that made people leave their email-address. Together with the “disruptive-keyboard”, this formed a very successful sponsorship where attendees most likely won’t forget the name of the brewery (especially also as they left their e-mail address). 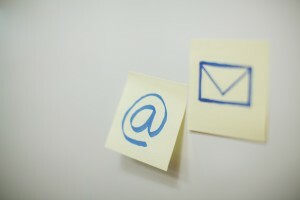 It might take some time to find the right CTA, especially as CTA’s adapted to the event work best. But it’s worth spending some braincells on this task. Did you ever made some ad’s on Facebook? So most likely you are familiar with “targeting”. You choose the audience you want your ad to be shown, based on demographics, preferences and others. The same can be applied to event-sponsorships. Every event has usually a well defined target audience. Where a medical conference will most likely recruit their attendees out of doctors or scientists, a marathon will feature sports-enthousiasts. 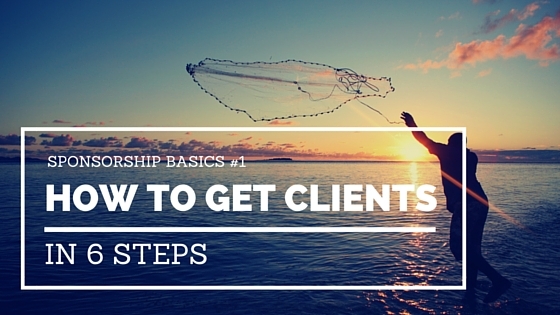 This knowledge is in fact crucial for crafting the right message for the sponsorship. Special care has to be taken to evaluate what people will attend the event and especially what kind of expectation they will bring with them to the event. The better the sponsor can forecast these elements, the more aligned the sponsorship message can be. And the more successful the sponsorship will be.